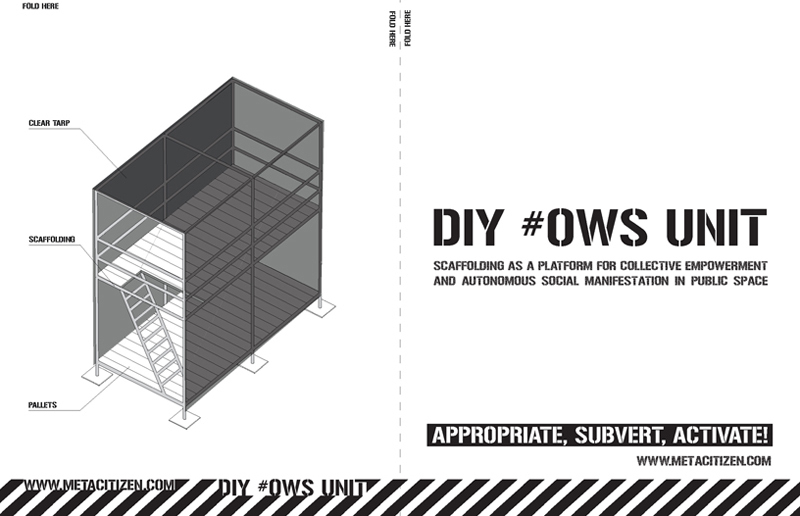 The purpose of #OWS Unit is to activate public space by providing a nomadic platform for social and political engagement. It consist of a reused scaffolding structure that can inhabit a variety of programs and events such as workshops, meeting spaces, power generation, sleeping areas, a library, a cafe or a information centre. 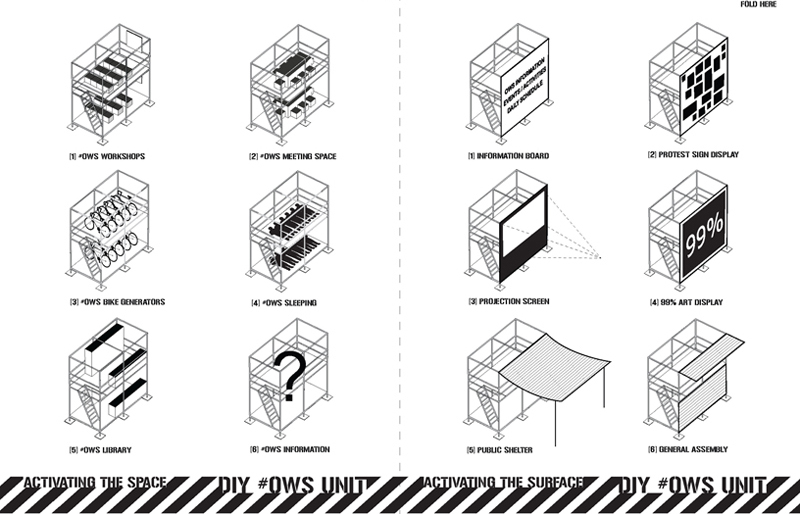 Recycled tarp forms the skin, which can provide information, protest and art display, projection screen, public shelter or a platform for general assembly.